This fire safety training for managers course has been designed to give personnel the necessary information, knowledge and training for them to manage their facility. 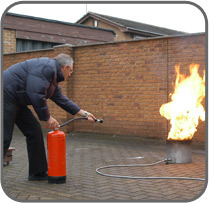 Who should attend our Fire Safety Training for Managers course? If these dates/venues are unsuitable you can book a course at your premises for upto 15 people.